In 2014, the Commonwealth of Virginia began requiring all first-time DUI offenders to install ignition interlock devices in their vehicles, toughening a former law that only required repeat offenders with a 0.15 percent or greater blood alcohol concentration (BAC) to install the devices. Many consider the new law to be too harsh for first-time offenders, especially those with low incomes. If you’ve been arrested for a DUI, it’s important to understand the details of this law, how it might affect you, and how an attorney may be able to help. Ignition interlock devices require drivers to pass a breath test before the device will unlock the ignition of the car and allow it to start. The devices also require random tests, called rolling tests, while the vehicle is in operation. Additionally, to keep the court aware of the offender’s activities, the ignition interlock device servicer also submits an electronic log every 30 days. The device itself is an electronic unit (connected to the car’s computer system) with a plastic tube attached, which the offender blows into. The device reads the blood alcohol level in the driver’s breath before the car can start. To promote proper enforcement, some of these devices also have a camera that snaps photos of the person blowing into the tube. Interlock devices were required only for offenders who were convicted on a second, third, or subsequent DUI or found to have a 0.15 percent BAC or higher. An approved driver drove the defendant and the car for interlock device checks every month. The Virginia Alcohol Safety Action Program (VASAP) had to approve the interlock installation and restricted license before the defendant could make an appointment to have the device installed. The new law is estimated to quadruple the number of offenders required to have the devices installed, which is likely to create a backlog of offenders waiting for installation. Additionally, first-time offenders are generally still required to pay a fine, attend and pay for mandatory alcohol-education classes, and have their licenses suspended for one year. Offenders who can prove they need their cars for work or school may receive a restricted license allowing them to drive to work or class, but only if they install the required ignition interlock device. Wait times for device installation are expected to increase, which will make daily transportation more difficult for first-timers and their families. New laws may drive offenders to go to trial instead of accepting a plea from prosecutors, which means the courts may become strained and under more pressure. 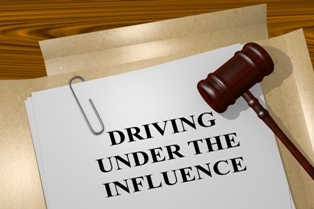 Now that these new laws are in effect, it is more important than ever to contact an experienced criminal defense attorney if you have been accused of driving under the influence. If you’ve been arrested for driving under the influence and aren’t sure where to turn, contact the team at Kearney, Freeman, Fogarty & Joshi. Our attorneys provide advice and defense representation to clients facing drunk driving charges, and we can help you too. Start a live online chat on our website today.